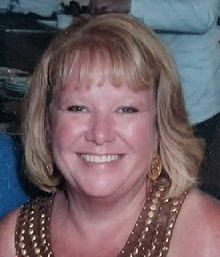 Corene Dianne Carson, age 50, of Indianapolis, IN passed away unexpectedly May 3, 2018 at her home. She was born March 2, 1968 at Lafayette, IN to Donald and Sharon (Carter) Bryant. She was a graduate of McCutcheon High School with the Class of 1986, then was awarded a scholarship to Purdue University where the studied journalism. She first worked as a meeting planner for NAMIC (National Association of Mutual Insurance Companies). Then for several years she was employed with the Kroger Grocery Company, first as a floral designer, then as a pharmacy technician. Corene enjoyed reading, cooking, traveling and interacting with her family and friends. She also continued arranging and working with flowers. Her love of reading led to her having a large library at her home. She was a member of First Assembly of God at Lafayette, IN. She married Trenton Allen Carson on September 11, 1993. He survives her. Additional survivors include her mother: Sharon Bryant of Indianapolis, IN, a brother: Scott (Teresa) Bryant of Lafayette, IN, three nephews and her Border Collie, Bandit. She was preceded in death by her father Donald Bryant. Memorial services will be held Monday, May 14, 2018 at 7:00 P.M. at Hartley Funeral Homes Cicero Chapel, 209 West Jackson Street, Cicero, IN 46034 with Pastor Andrew Marshall officiating. Visitation will be from 5:00 to 7:00 prior to the services. Memorial contributions may be made to St. Jude Childrens Research Hospital, 501 St. Jude Place, Memphis, TN 38105-1942 or the American Heart Association, 3816 Paysphere Circle, Chicago, IL 60674. You may send condolences at http://www.hartleyfuneralhomes.com. Add Photos, Videos, Music that tell the story of Corene's life.